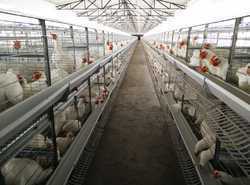 Offering you a complete choice of products which include broiler chicken rearing cage, layer cages, chicken cages, broiler breeder cage, grower cage and a type cages. 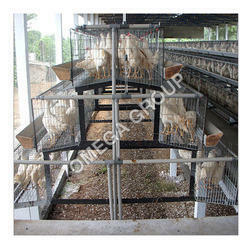 With the support of our team of experts, we are engaged in providing wide range of Broiler Chicken Rearing Battery Cage. These are best suitable for the open house and closed house system. 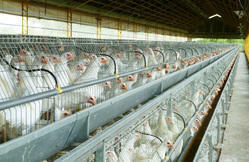 The Layer birds will have good no of eggs per bird. These are suitable for the day-old chick for 8 weeks and are suitable for the open house system and up to 18 weeks in close house system. The day old chicks will have uniform growth in our cage system which has been developed with many years of experience of our engineering. 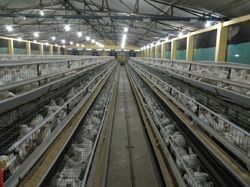 The cages have been developed after careful consideration for long life and also more eggs per breeder in open and closed house system. These are best suitable for the open and closed house system, and the growers will have uniform growth in our cage system which has been developed with many years of experience of our engineering. 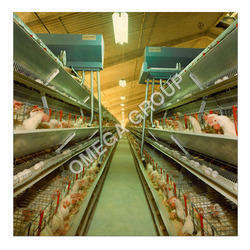 We produce equipments for complete Automation for Poultry Farms.It includes A Type Cages. 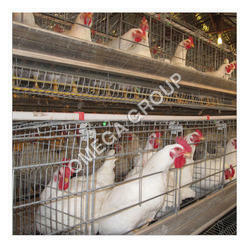 We are engaged in offering a quality approved range of Three Tier California Layer Cage. 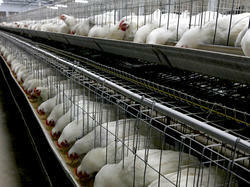 We commence our business as the leading organization of the best quality California Layer Cage. 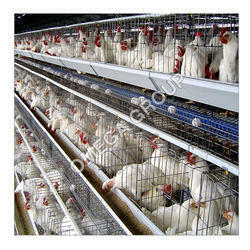 We introduce our business as a notable entity of a qualitative array of Broiler Breeder Grower Cages. 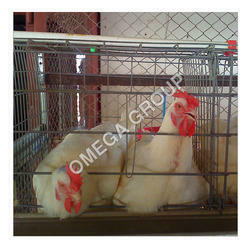 We are remarkable entity, engaged in offering superior quality Breeder Layer Cage. Keeping in sync with the latest market norms and policies, we are indulged in providing a high-quality range of Semi Automatic Poultry Cage. 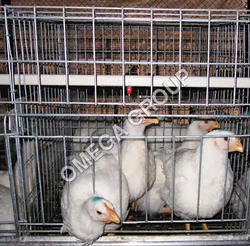 In order to retain the remarkable position in this industry, we are providing a wide array of Broiler Breeder Layer Cage. 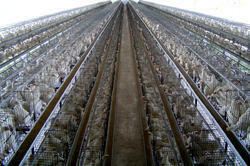 We are a unique name in the market to provide our honourable customers an exclusive range of Chicken Layer Cage. Our products are of optimum quality and meet the end to requirement of clients. This is made possible by our team of professionals including engineers, technicians, supervisors, and skilled and semi-skilled labors having extensive experience in coming up with advanced and durable line of Welded Mesh.